Swizzels Retro Sweets Assortment is a great way to enjoy all the old fashioned , traditional sweets that you remember from your childhood days... Drumstick Lollipops, Fizzers, Lovehearts, Wine Gums, the list goes on! 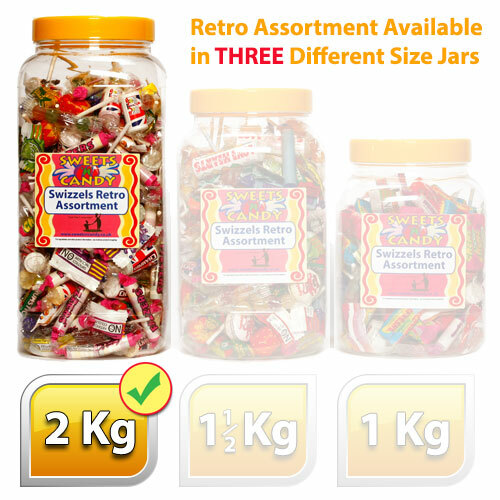 This big Swizzels Retro Sweets jar containing 2 Kilograms of sweets, all individually wrapped. Great for parties or events or it could be the perfect gift for the sweet lover in your life or just for fulfilling your own personal guilty sweet pleasures... yum yum! 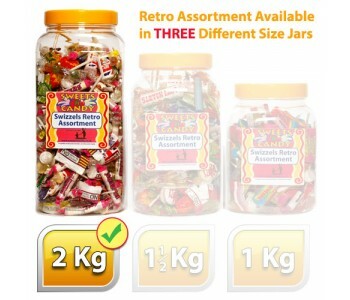 Swizzels Retro Sweets Assortment is a great way to enjoy all the old fashioned , traditional sweets..